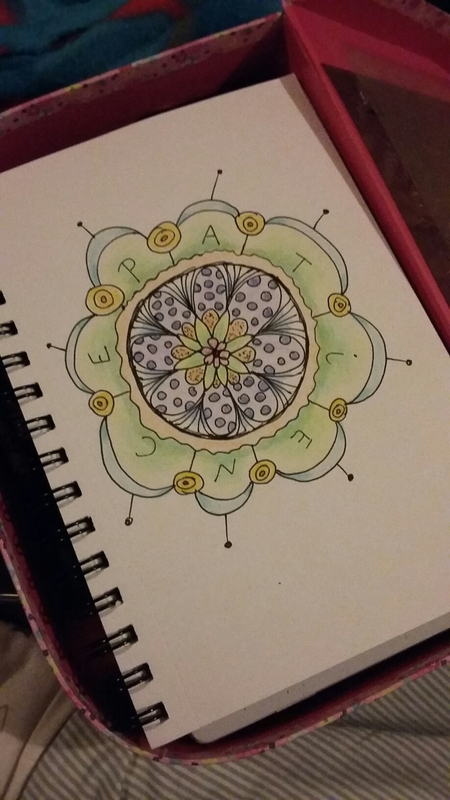 Today, I created my doodling box. I was in Cardiff this morning and totally fell in love with this set of flowery suitcase-style boxes (3 boxes, 3 different sizes). I had to have them! 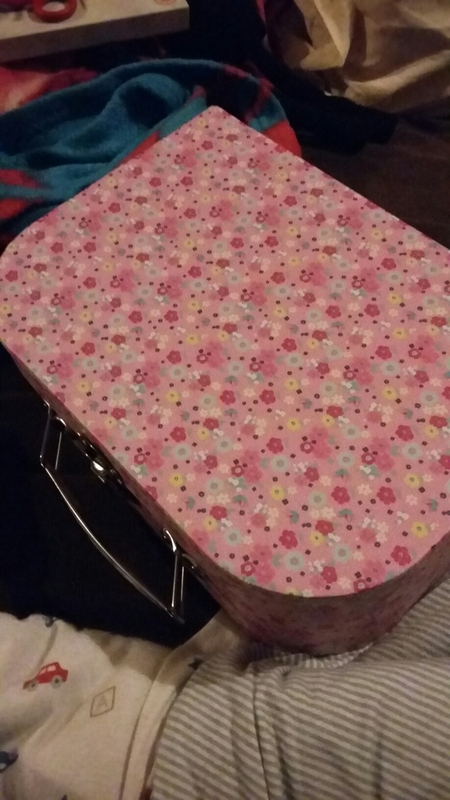 When I got home, I had a look at what I could fit in the middle one, and there it was; my doodling box was born! 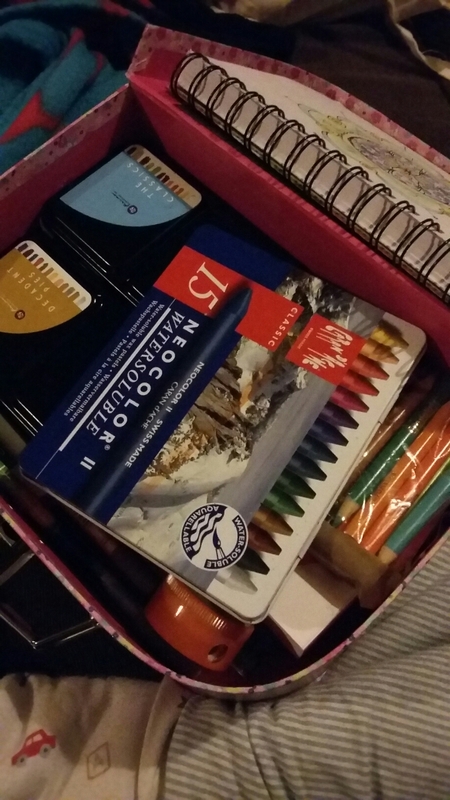 What’s in my doodling box? 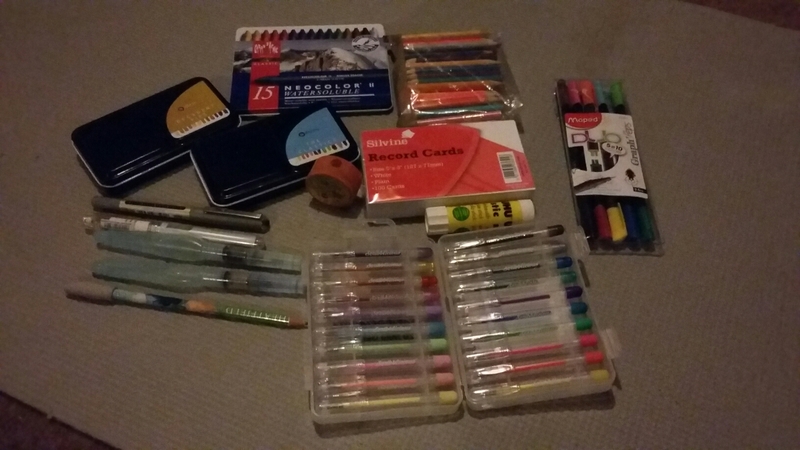 A set of mini gel pens, some watersoluble crayons, 2 travel sets of my favourite watercolour, a selection from my mini Crayola pencils (these kids’ pencils do layer and blend really well), some plain index cards, some fine line markers, waterbrushes, white gel pen, black waterproof pen, pencil, eraser, sharpener, a glue stick, my sketch pad and a stencil. Phew, that’s a lot!!! But it all fits.